What makes Lifetime Pet Wellness unique? At LPWC we strive to practice the highest quality care possible, meaning we take the time to personalize care for each individual pet and we are always looking to utilize the best medical practices. At LPWC, premium care includes utilizing a 20-watt carbon dioxide laser to do many of our surgeries. The laser seals small blood vessels and nerve endings as it cuts, greatly decreasing bleeding and pain, and promoting faster healing. It is most obvious when used for the feline onychectomy, or declawing procedure. Cats show significant decreases in pain and bleeding postoperatively. Additionally, we have added Marcaine ring blocks to the protocol. This effectively numbs the paws for about eight hours, allowing the patient to recover from the anesthesia virtually pain-free. Other pain measures are then used as the Marcaine fades. At Lifetime Pet Wellness we utilize a sterile surgery suite with separate ventilation, natural light, and plenty of room for our doctors and support staff to properly monitor patients. All surgeries and dentals include anesthesia, an intravenous catheter and fluid support while in surgery, monitoring while under anesthesia with an electrocardiogram, pain medication given at the time of surgery and pain medication to go home with. 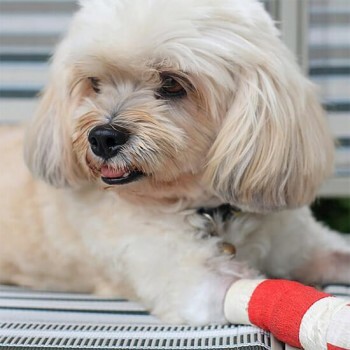 An intravenous catheter is a soft, flexible tube that is inserted into the vein of your pet. This allows us constant access to a vein, which allows us to give fluid support to your pet. 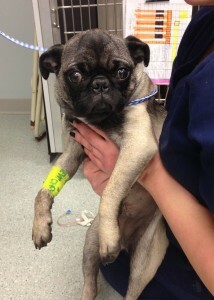 Fluid support helps hydrate and stabilize your pet during anesthesia. Also, since the doctors have constant access to a vein, they are better able to act in the case of a medical emergency. An electrocardiogram, or ECG, is a machine that allows us to monitor your pet’s heart rate, heart rhythm, the oxygen level in their blood, blood pressure, and body temperature. This is important because sometimes pets can look fine on a surgery table, but really internally they are having problems that the machine can catch early, which gives us time to intervene. 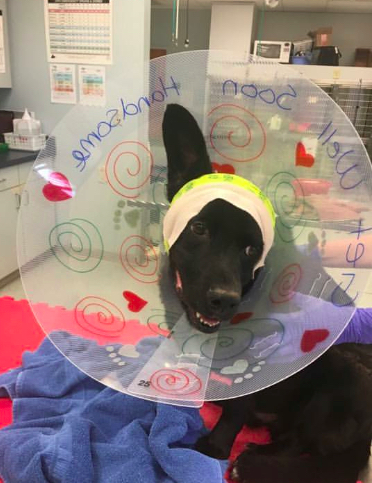 During recovery, our patients are constantly monitored by a Registered Veterinary Technician or Assistant and are only sent home once they have recovered from anesthesia and have been examined by our doctors. We utilize heating pads to provide comfort for our patients and to assist them in stabilizing their body temperature during recovery. Additionally, we send surgery patients home with pain medication, since pets experience pain in much the same way humans do. Pain makes surgical recovery time longer and is uncomfortable for them. We include it because we feel it is the only humane way to do surgery.